Promote collaboration, while retaining a sense of individual space. Designed for the way people work, Evolve meets the challenges of today’s rapidly changing workplace. Featuring simple, crisp and clean aesthetics, Evolve’s adaptability provides limitless planning possibilities for a greater return on your investment. Furniture for today, flexibility for tomorrow. Evolve’s Light Panel System creates a sense of openness without sacrificing individual space or storage capabilities. Shared workstations promote collaboration and reduce the overall footprint. Evolve’s panels are stackable in 6″, 12″ & 24″ modules from 30 inches up to 25 feet and allow private offices to be constructed without relying on existing walls. Interchangeable fabric, laminate and glass finish options can be used to achieve varying privacy, acoustical and aesthetic needs without needing to disassemble panels offsite. The Evolve Panel System can be stacked and switched for maximum flexibility and effortless reconfiguration. Panels also integrate plug and play connectivity at the worksurface and offer proven wire management to meet your power and data needs. Cost-effective planning is made easy with Evolve’s range of ergonomic worksurfaces and practical storage options. A new interpretation of the private office. Integrate freestanding components for maximum flexibility and customization. 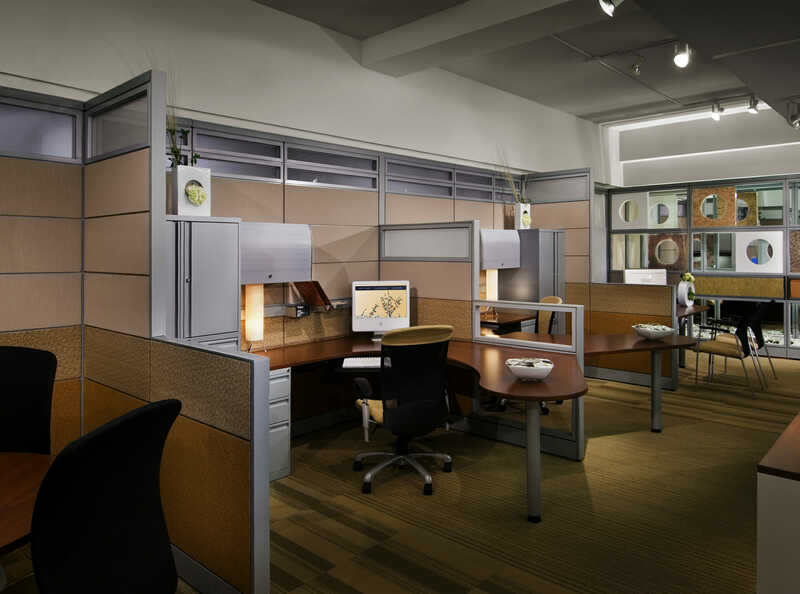 A combination of freestanding and panel mounted components can be used to add privacy, divide space and create a unique work space environment. Rising real estate costs, multi-generational workforces, and new styles of working are a few of the challenges today’s office must overcome. 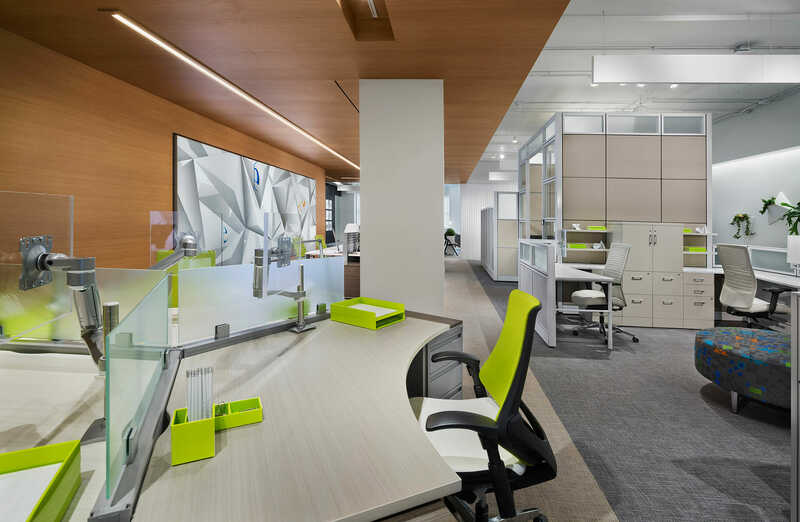 The simplicity and flexibility of Evolve’s design enables reconfiguration of a space utilizing existing components to keep long-term costs low. 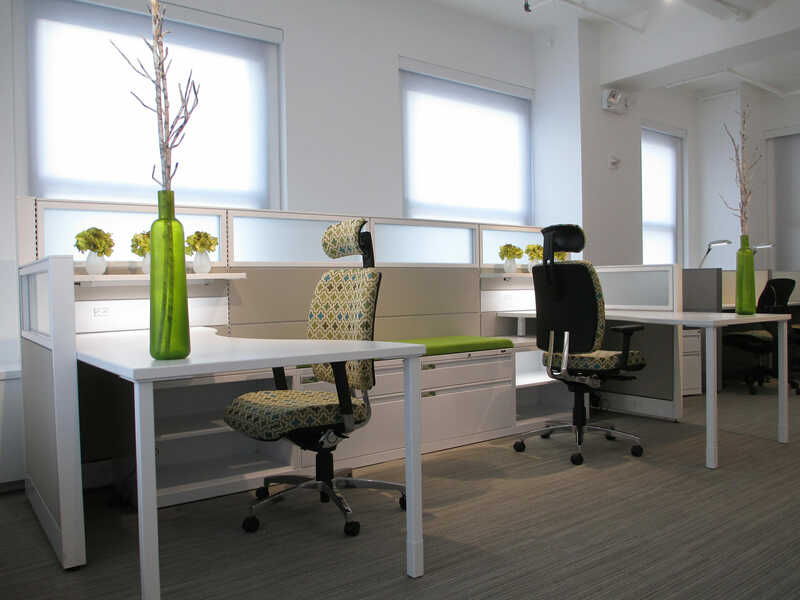 Evolve’s comprehensive product offering creates complete office landscapes that can adapt to change. Furniture for a sustainable world. Our environmental success story began with the challenge to create an office system that would meet today’s business requirements while maintaining a firm commitment to save and protect the environment. Sustainability became a part of the creative focus and development of Evolve that incorporates the latest technology and design features to provide excellent performance at a competitive price. Evolve sets a standard for reducing waste and recycling materials in its manufacturing.